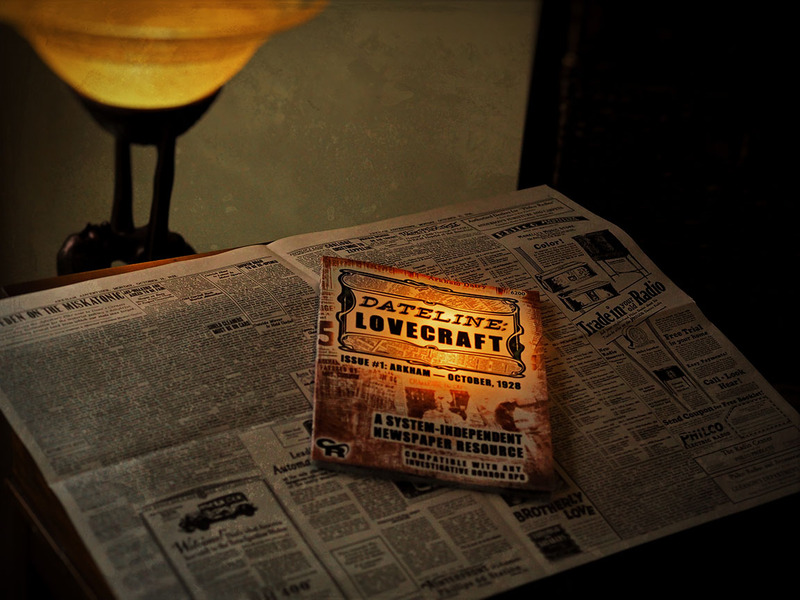 This entry was posted on Tuesday, January 22nd, 2019 at 2:25 am	and posted in Cthulhu Game Aids, Dateline: Lovecraft, News & Updates. You can follow any responses to this entry through the RSS 2.0 feed. Could you not use a Print on Demand Service through DriveThruRPG or similar? For the guidebook, yes, POD printing is definitely an option — but not for the broadsheet newspaper. In fact I struggled to find *any* printers who could create those at a reasonable price-point, and even then could only do so by ordering a minimum batch of 50 newspapers. Same. In fact I used Lulu for the batch of printed guidebooks (since I find them sometimes higher quality). They don’t do anything like newspapers — just softcover, hardcover, and photo books. Hey Perry, thanks for doing the leg-work to track down some printer options. In fact newspaperclub was the printer we used for the batch of Dateline newspapers that will be going out in this batch. They did a great job, but they aren’t very useful as a POD printer since their charge for printing 1 copy is something like 4.5 times the per-unit cost of printing a batch. So, they’re a great printer if I want to make another 50 copies and ship them to me … but to try to use them to print lots of orders for 1 copy would end up costing a fortune. It’s just not the way they work.